On the Sept. 26, 1992 episode of Saturday Night Live, one “memorable” skit starred Nicolas Cage, Kevin Nealon, Rob Schneider and Chris Farley. Nicolas Cage was playing “Tiny Elvis,” who was about 5 inches tall and couldn’t believe how big the lamp was in the living room or how big the salt shaker was. The skit hasn’t been played much in highlight shows in the past 27 years and has sort of been forgotten. “Tiny Kevin Harvick” is a little more memorable. Two years ago, Mobil 1 produced a commercial featuring “Tiny Kevin,” which encouraged drivers to use Mobil 1 technology in their cars. Well, after two years of Tiny Kevin, a tag team has now been formed. This year, Kevin will be joined by teammate Clint Bowyer in the “Paid Spokesperson” role. The new commercial began airing March 25. And there is no better place for Tiny Kevin to become Big Kevin than this week at Texas Motor Speedway in Fort Worth. Harvick, driver of the No. 4 Mobil 1/O’Reilly Auto Parts Ford Mustang for Stewart-Haas Racing, has been bigger and better than any other driver in his last nine races at the 1.5-mile oval. He has two wins, three seconds, one third- and one fourth-place finish, and he’s finished in the top-10 in all nine races. He’s won one pole and led laps in all but one of those last nine races for a total of 489 laps. 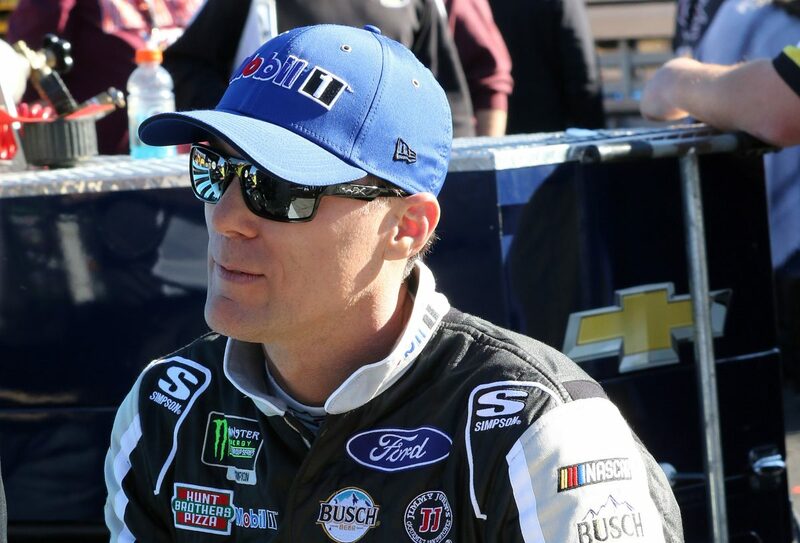 Harvick has also won five NASCAR Xfinty Series races at Texas and has led 779 laps while also winning two poles.And in the NASCAR Gander Outdoors Truck Series,he has raced at Texas four times with a win in 2011. Harvick won’t race in either series this weekend but will be the lead driver analyst for FS1 during its broadcast of the Xfinity race. Veteran drivers have won every race this year. How valuable is experience? You’ve had different aero packages early in the season. Talk about that.